Strengthen your core to support your body for everyday living. Strong core muscles are the basis for efficient everyday movements. Your abdominals are just one of the muscle groups that make up your core, but are important for overall back and body support. The Precor Ab-X, used in clubs, hotels and spas worldwide, is biomechanically designed to target your abdominal muscles precisely and stabilize your core while you exercise, delivering a focused and efficient workout. 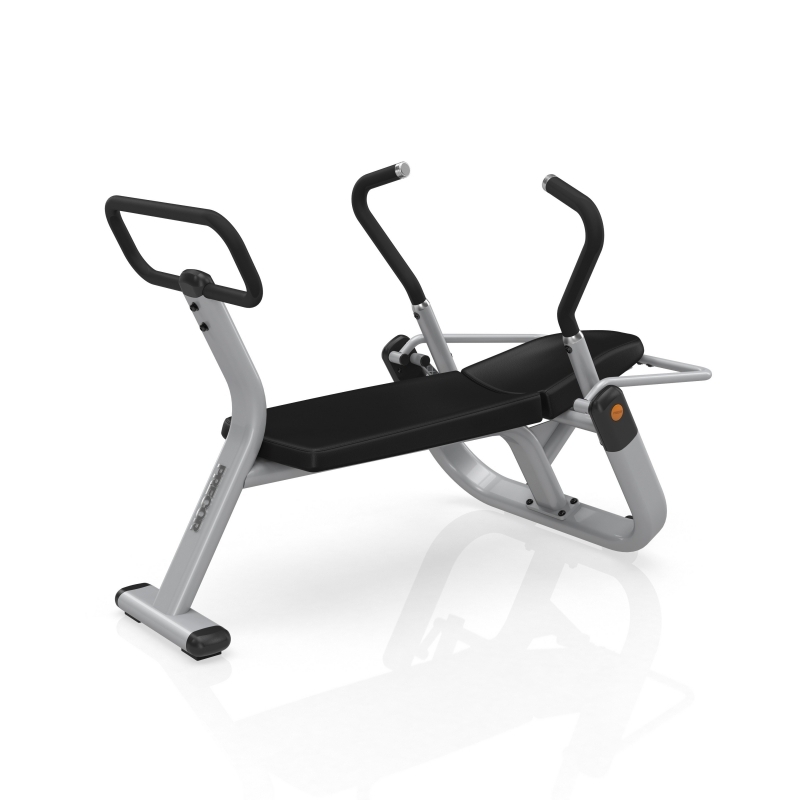 With an easy entry and exit, the space efficient design allows you to work out your abs without being down on the floor. Integrated wheels for easy transport and moving. Frame is titanium-colored with premium black upholstery with Beautyguard protective topcoat finish and high-density foam padding. Biomechanics Biomechanically correct movement for a comfortable, focused workout. Unique floating pivot point design creates the ideal crunch movement, reducing stress to neck and shoulders. 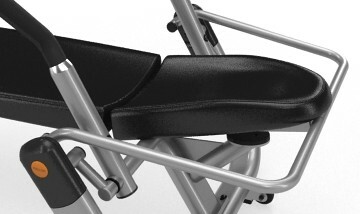 Design Supportive back and head pads lessen stress and strain, so you maintain proper body alignment while comfortably positioning and stabilizing your lower back. Vary your foot and leg positions for multiple workout options. Size Allowances Multiple feet and arm positions allow all sizes of people to use. Space Efficient Space-efficient design allows you to work out your abs without being down on the floor. Easy entry and exit. Two-step powder coating process applies rust-resistant undercoat and cosmetic topcoat to the steel frame. Rubber feet protect floors. Premium-quality upholstery with Beautyguard protective topcoat finish. Fabric meets or exceeds California fire regulations (Bulletin 117, section E). Double-layer slipcover in appropriate high wear areas. Double stitching on all seams. Pivot points use quiet, self-lubricating bushings. 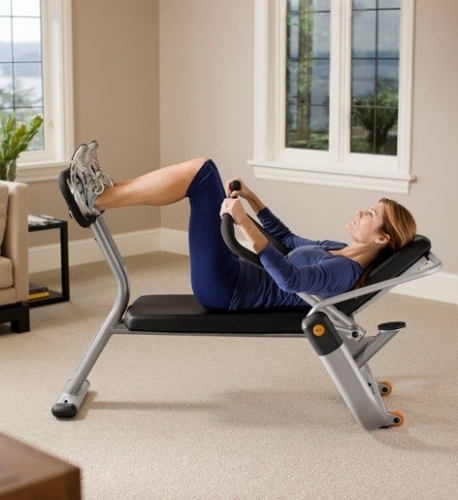 Home Warranty When Precor commercial series equipment is purchased for home use, our home equipment warranty applies. 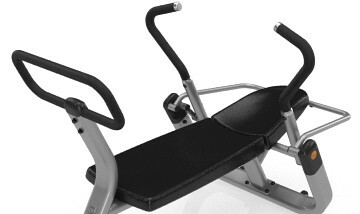 Order your Precor Ab-X Abdominal Trainer from FitnessZone.com today!